Are you looking for that extra touch for your next event or private party? Mariachi Villa has a great party idea for you! there's nothing to give a social gathering that Texan flair than to call the best mariachi band for hire in Houston Texas! 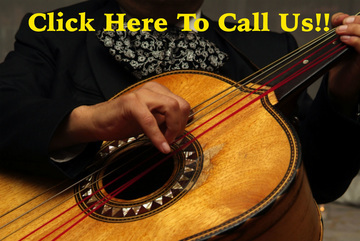 We give the best deals around when it comes to hiring a mariachi band. And in case you're wondering, of course we know all the most popular mariachi songs from history! Just ask for a song list if you're looking for a particular tune. For weddings, the gentle serenade of a Spanish mariachi may be just what you need to set the mood for an amazing celebration! What is the cost of a mariachi band, you ask? We're sure it'll fit quite nicely into your wedding expenses budget! just give us a call at 832-681-0414 or leave your contact information on our super easy form. No matter where your social event will take place, we have the right stuff to deliver! Mariachi Villa is the premier local mariachi band for hire in the Houston area. We have played in countless events throughout the years in surrounding cities such as Katy, The Woodlands, Pearland, Humble, and Pasadena. Our reviews speak for themselves, and we are proud to be able to serve Sugar Land and Clear Lake as well. We also provide our services for such events such as birthdays and storks ride home. Don't be shy, you can always ask about what groupons and promotions we have going at the time. Sometimes, we can even offer coupons to local restaurants and venues as well! So what are you waiting for? Hire a mariachi band today! Seriously, nothing puts the "merry" in mariachi like this traditional Mexican band. Trumpets, flashy clothing, it's like a party and a history lesson all in one! If you're looking for the top mariachi band in Houston Texas, then look no further! Give us a call today at 832-681-0414 for your free quote! ..And are you wondering how to plan the perfect quinceanera? Luckily for you, the dances and music are our specialty! If you're unsure about what else to do, there are many places online where you can find quinceanera gift ideas as well as planning guides to help you keep you headed in the right direction. We suggest making a checklist for everything, including where you intend to get your quinceanera dresses from! We also suggest you choose a theme for the celebration, something your little girl would go crazy about! Classic mariachi style weddings are some of the most beautiful weddings of all, and Mariachis En Houston is the best choice for you, your guests and your wedding budget! We're famous here in our wonderful city when it comes to making amazing birthdays parties, social events, funerals, masses and serenades. Just check out our reviews if you're wondering if we're as good as we say we are! Our Yelp, Foursquare, Yahoo!, Facebook, Google+ and other pages loaded to the brim with customer reviews from those who have utilized our services in the past.